Cyprus serves as the gateway for EU inbound and outbound investments. This complements the traditional links Cyprus has with central and Eastern Europe, Russia, India and China. With one of the lowest tax rates in Europe, a long list of double tax treaties, an enviable time zone (GMT +2) and a mature professional services industry, Cyprus is placed high on the list of jurisdictions preferred by tax professionals. Specifically, the overall tax liability arising from international activities can be mitigated or eliminated completely by using a Cyprus entity in a cross-border structure. Public/private companies and investment funds (UCITS and AIFs) registered in Cyprus can be used as efficient investment vehicles. A company or fund registered in Cyprus can conduct public offers in other EU member states or have their shares admitted on an EU regulated stock exchange. Cyprus not only has one of the most favourable tax regimes in Europe, it also has double taxation agreements with a wide network of countries so that the possibility of an individual or a business being taxed twice is eliminated. Therefore, realized profits in Cyprus can be accumulated, re-invested within the group or paid out as dividends without any additional tax. The Cyprus tax system is in full compliance with EU Directives and with the OECD requirements against harmful tax practices. A Cyprus company limited by shares must have a minimum of one shareholder (who may be a nominee), a minimum of one director and a company secretary. The company should maintain a registered office in Cyprus. The formation and registration procedures, including the approval of the company name by the Registrar of Companies can normally be completed within a period of 10 working days from the day of submitting the required documents. The procedure can be reduced to 5 working days if a name is chosen from our list of pre-approved names. All Statutory information, such as the memorandum and articles, share capital, registered office, shareholders and company officers is publicly available. Nominee shareholders can be provided for confidentiality. Information on the beneficial owner is not publicly available. 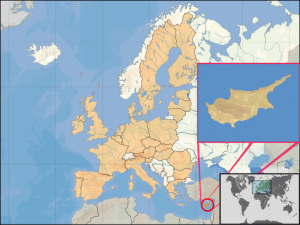 The Cyprus company is based on the Companies Law of 1951 (as amended). In accordance with the legislation, a Cyprus company can engage in any legal activity which does not require specific licensing. Licensing is required for certain activities such as banking, financial services or investment funds. Trading profits are taxable at just 12.5%, one of the lowest tax rates in Europe. Subject to the nature and extent of its activities, it may be compulsory to register the Cyprus company for VAT. Tax is imposed on all Cypriot resident persons (individuals and corporations) on their worldwide income. Individuals are tax resident in Cyprus when they spend more than 183 days of a calendar year in Cyprus. A corporation is considered tax resident in Cyprus when its management and control is exercised in Cyprus. In general, the Cypriot Tax Authorities adopt a liberal attitude accepting that management and control is exercised from Cyprus unless residence is claimed by another country. An annual general meeting of the shareholders must be held in each calendar year and an annual return (HE32) submitted to the Registrar of Companies together with annual financial statements audited by a local auditor. All Cyprus companies must pay an annual government levy of €350. Incorporating a Cyprus holding company, into an international structure would allow you to extract dividends from any European subsidiary with no tax withheld (due to the EU Parent / Subsidiary Directive) and then pay them out with no tax withheld in Cyprus. The 12.5% tax rate does not apply to income from dividends so any dividend income can be paid out to foreign parent companies or individual investor with no tax suffered whatsoever. There is no CGT on the sale of any assets (except for Cyprus real estate). As far as shares are concerned, any gains as well as trading profits from the disposal of titles are exempt from all taxes. Subsequently, Cyprus holding companies (subject to fulfilling certain easy to meet criteria) are virtually 100% tax efficient structures. To hold subsidiaries that own assets with potential for significant capital appreciation, such as foreign real estate and intellectual property rights, that may be spun off or sold in the future. By selling the shares in the subsidiary company to a prospective investor effectively allows for the tax free disposal of the assets. Such companies may take advantage of the Cyprus Double Tax Treaties by providing loans in treaty countries or other countries where withholding tax on interest is low or nil. There are no debt-equity restrictions in Cyprus. A Cyprus company may therefore be financed in any proportion of debt-equity. Interest deduction is provided for borrowing costs and a Notional Interest Deduction (NID) is applied to new equity invested in the Cyprus company. Intercompany loans receivable financed out of loans (back to back loans) are acceptable under very low margins subject to easily met conditions. Royalties are the payments of license fees or commissions by one individual or entity to another for the use of IP. Cyprus offers the lowest tax regime, by far, on royalties in the EU. 80% of royalty income from IP owned by a Cyprus company (net of any direct expenses) is exempt from Cyprus Corporation tax. Any expenditure of a capital nature for the acquisition or development of IP is claimed as a tax deduction over a 5 year period. The ideal candidate for royalty routing is a business who has a new IP right, when there is little difference between the fiscal book value and the real value of that asset and it can be transferred to a Cyprus company at minimal value. Once the intellectual property rights are vested in this company they are then licensed to other corporations which act as collection agents. The Cyprus International Trust is governed by The International Trusts Law of 1992 and amended in March 2012. The reform of the International Trusts Law place Cyprus at the top of the league as a modern and flexible trust jurisdiction. Any income derived from the assets/property of the Cyprus International Trust may be accumulated for the Trust’s duration. All income is tax free. In this way clients accumulate wealth with maximum tax efficiency that they control but not own in the strict legal sense. Consequently, nobody can “attack” the assets put into trust, as they don’t form part of the settlors’ assets. The validity of a trust will not be affected by any foreign inheritance or succession laws. Settlors and beneficiaries enjoy the highest possible degree of confidentiality internationally. The Cyprus International Trust combines formidable asset protection capabilities together with unmatched tax advantages offered by Cyprus’ favourable tax regime. The trust is ruled by the trust deed, a confidential document not publicly filed. The AIF law enacted on 10 July 2014, updated the funds regime in Cyprus and has aligned it with the latest EU directives on alternative funds, funds management and investor protection. The Cyprus Securities and Exchange Commission (CySEC) is the sole regulating authority of the funds industry in Cyprus. All types of investment funds registered in Cyprus can be marketed to attract capital across the EU on a passport basis. It offers structuring options such as Umbrella Funds, enabling the management of different pools of assets in ring-fenced funds within a fund (sub-funds) that can operate individually and be subject to different investment policies. Possibility of establishing a Mutual Fund (or Common Fund) where investors can participate as co-owners. These types of funds are particularly used in structuring investments of pension funds. In certain cases the depositary function may be undertaken by an entity other than a banking institution offering the possibility to AIFs not to operate only in financial markets but also in private equities such as real estate funds. An exemption for a requirement to appoint a custodian is available when assets under management are less than €5m or the investors are limited to 5 or the nature of the assets is not subject to custody, allowing for significant cost reduction. Cyprus offers an extensive network of 50, concluded, double tax treaties and another 40 under negotiation. This is because Cyprus is listed on the OECD white list of credible business locations and is quick to adopt EU Directives. Indeed, this is what truly makes Cyprus an ideal location for registering a company and benefiting from the tax efficiency it has to offer. The Cyprus Government welcomes applications for direct passport and EU citizenship to investors making substantial (min EUR 2.5 million) real estate investments in Cyprus. The island is a popular destination for tourists having the most blue flag beaches per coastline in the world. Cyprus enjoys tropical Mediterranean climate with about 300 days of sunshine per year.